Today, eyeglasses are one of the most versatile and practical fashion accessories available. Advancements in technology now allow us to offer frames made of multiple superior materials, in both plastic polymers and metal alloys. In addition, these materials allow us to offer eyewear available in colors to suit every individual’s taste and fashion palette, while also providing the optimum weight and durability for every lifestyle. After discussing your lifestyle and eyewear uses with our optical professionals, you may discover that you need multiple pairs of glasses for various activities. 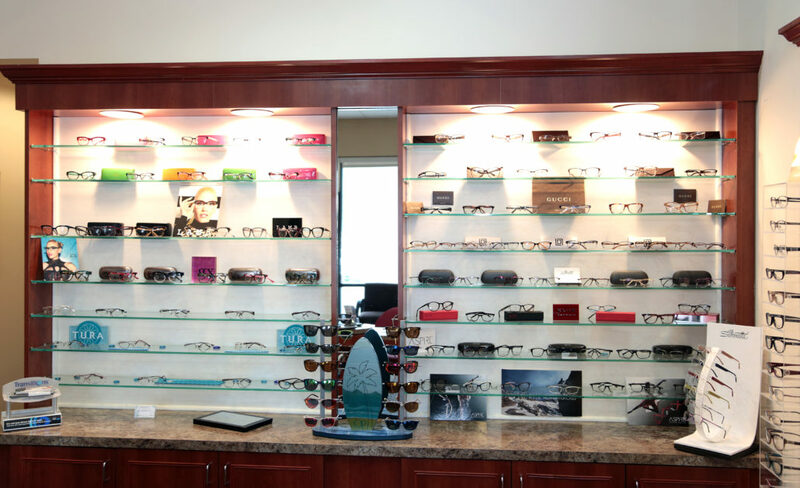 Our optical team is committed to excellence and will provide you with recommendations for your frames, as well as today’s advanced-technology lens choices, to best serve your visual needs. You are always welcome to stop by for free cleaning and adjustments. You may need to wear corrective lenses, such as eyeglasses, if you experience difficulty seeing clearly at a distance, up close, or while using your computer. The only way of knowing the type of glasses you may need is by scheduling an eye examination with your Dacula eye doctor. If you need to wear eyeglasses, they will be adjusted and customized to comfortably fit your face at the time of purchase. You’ll need to wear them according to the recommendations of your Dacula eye doctor. Keep in mind that it may take some time to adjust to eyeglasses, as some patients experience mild vision distortion during the first few days or hours of initial wear. New progressive wearers should allow time for our trained staff to go over how the multifocal lenses work to ensure your success. You will need to keep your eyeglasses clean in order to reap the maximum benefits from your corrective lenses. If possible, only clean your lenses using a microfiber cloth and eyeglass solution. Using paper towels, clothing or other cleaning materials can cause abrasions to the lens.